ELG Carbon Fibre says that it has successfully extended the certification of its quality management system. JEC says that Start-up Booster, reportedly the largest start-up competition in the field of composites, is now open. 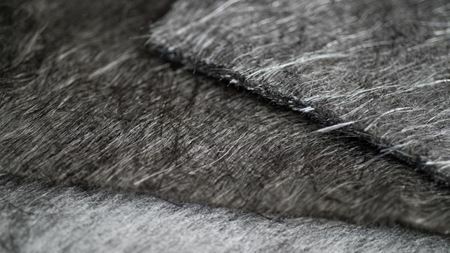 Strong regenerated silk fiber with biomedical applications. Kevin Cummings, previously CEO designate of GKN, will reportedly leave the board and GKN with immediate effect. America Makes has made a project call for Phase 3 of its ‘Maturation of Advanced Manufacturing for Low-Cost Sustainment (MAMLS)’ program. The SME has elected and installed six international directors to serve as the governing body of the organization. Silicon Sense has been granted registration by the US EPA to import nanodiamonds into the US for industrial purposes. Pulp fact: smart paper detects water leaks. Whispering gallery mode optical resonators for sensors. Learning from sea creature spicules how to make cool glassy structures. NetComposites has announced the program for the next edition of CompIC ME (Composites in Construction Middle East). ASTM International plans to extend its deadlines by one week for proposals for a new center of excellence in additive manufacturing. The SME says that as 3D printing in healthcare expands, industry, clinicians and educators need access to consistent training. Kordsa has been named among the ‘100 fastest-growing companies in Indonesia’, it says. Self-healing composite has good mechanical properties and can be produced by conventional processing tools. Composite materials built from monolayers of graphene and a transition metal dichalcogenide can achieve fine electrical control over the spin of electrons. Scientists have discovered that the shape and repetitive organization of the building blocks in a metamaterial determine how it interacts with light. 3A Composites AirexBaltekBanova has been awarded the United Nations Global Compact Award for Sustainable Development. America Makes reports that Joel D Neidig from ITAMCO has formed a new 3D printing software start-up company. Oxygen-containing chemical species with biocidal properties are an alternative to conventional antibiotics, which are susceptible to resistance. Linde has signed a memorandum of understanding with Abu Dhabi National Oil Company (ADNOC) to expand its nitrogen facilities. Roth Composite Machinery says that it has built the ‘world’s fastest production line’ for the series production of LPG vessels. Synthetic microspheres with nanoscale holes that can absorb light at many frequencies have helped to reveal how leaf hoppers hide from predators. By taking advantage of electrostatic charge, scientists have induced synthetic polymers to self-assemble in a defined sequence, just like proteins. Submit your original research on recent advances in Atomic Layer Deposition to Materials Today Chemistry. Specialty chemicals company Lanxess is strengthening its presence in China by building a new plant for plastics in Changzhou for around €20 million. H.C. Starck’s Fabricated Products division says that material prices for its refractory metals will probably inrease into 2018. SGL Group and German engineering company Bertrandt have developed a new design idea for the interior structures of automotive vehicles. 3D piezoelectric fibrous scaffold stimulate stem cell differentiation and tissue formation. New elastomers at a stretch thanks to inspiration from nature. Researchers have developed a 3D printing process that can create a chemically active catalytic object in a single step. Scott Bader says that has invested over €1.2 million to expand production capacity for its range of adhesives, gelcoats and formulated products. A fourth edition of a MIM booklet has now been released by the EPMA. R-TECH Materials said that it increased visitors to its stand by 350% at this year’s Advanced Engineering show. Surface reflections from glass surfaces can be reduced to nearly zero by etching tiny nanoscale features into them. Scientists report major progress in developing a new type of lithium-ion battery that utilizes cathodes made with so-called ‘disordered’ materials. Solvay Performance Polyamides has announced a price increase across Asia of US$300 per metric ton for its entire Technyl range of products. America Makes reports back from its annual Members Meeting and Exchange (MMX) event, held on 15-16 November 2017 in Youngstown, USA. Nanoscale patterns in metals known as nanotwins can stabilize defects associated with repetitive strain and limit the build-up of fatigue-related damage. Lanxess has incresaed the prices for its Durethan and Pocan compounds in Europe, Middle East and Africa (EMEA region) with immediate effect. Researchers have developed a new technique for creating novel nanoporous materials with unique optical, magnetic, electronic and catalytic properties. A simple method for manufacturing extremely low-density palladium nanofoams could help advance hydrogen storage technologies. Additive manufacturing (AM) company Renishaw has launched a new part of its website aimed at students looking for engineering information. Composite component manufacturer Safran Nacelles received business opportunities from its participation at Composites UK’s North West Regional Roadshow. Manipulating the joints between the nanotubes and graphene sheets in pillared graphene has a significant impact on the material's ability to direct heat. The EPSRC Future Composites Manufacturing Research Hub, in the UK, has released its second call for feasibility studies. Chemicals company Lanxess plans to acquire the phosphorus chemicals business of Belgian chemical group Solvay. SGL Technologies Composites has acquired a 50% share in Benteler Carbon Composites in the Benteler-SGL GmbH joint venture. UK car manufacturing fell in September, according to figures released today by the Society of Motor Manufacturers and Traders (SMMT). ASTM International plans to establish a center of excellence in the field of additive manufacturing. Cathodes for lithium-ion batteries that contain point defects allow more efficient exchange of lithium ions between the cathode and electrolyte. Inspired by the polymeric threads used by marine mussels, scientists have developed an elastomeric polymer that is both flexible and strong. Scientists have used cryo-electron microscopy to capture the first atomic-level images of the crystalline dendrites that can grow in batteries. Scientists have discovered that, contrary to expectations, a material's crystal grains can sometimes slide along a coherent twin boundary. The EPMA has issues a call for papers for Euro PM2018, taking place in Bilbao, Spain, from 14–18 October 2018. Revolution Composites has expanded its manufacturing facility in Norwood, Massachusetts, USA. Solvay has formalized a joint venture to supply Boeing with composite materials from a facility to be built in Al Ain, United Arab Emirates. Attendance for the Advanced Engineering show which took place recently in Birmingham, UK, was up 15%, according to its organizers. A marriage between 3D printer plastic and metal-organic frameworks could lead to inexpensive sensors and fuel cell batteries. Researchers have created a honeycomb material capable of frustrating the magnetic properties within it to produce a ‘quantum spin liquid’. Fibers made of carbon nanotubes configured as wireless antennas work as well as copper antennas but are 20 times lighter. Luminescent nanoprobe enables noninvasive, real-time imaging of inflammation-associated diseases. Composites company Kordsa and Sabancı University have joined together to form the Directional Composites Through Manufacturing Innovation (DiCoMi) project. Additive manufacturing (AM) specialist Arcam has exhibited a range of its 3D printing products at Formnext 2017, taking place in Frankfurt, Germany. The Metal Powder Industries Federation (MPIF) has announced that registration has opened for MIM2018. Nano Today's annual cover competition is open for submissions. Treating a perovoskite catalyst with heat or chemicals causes different atoms to segregate on the surface and catalyse different reactions. The American Composites Manufacturers Association (ACMA) has recently promoted the use of composites in transportation and defense to US politicians. Sika Corporation, which makes products for the marine industry, will participate in the 2017 International WorkBoat Show. Boeing reports that it has invested in Gamma Alloys, a US aluminum alloy specialist. EuCIA reports that it recently focused on sustainability in composites as part of a Lightweight, Durable and Sustainable Composites seminar. H.C. Starck Surface Technology and Ceramic Powders GmbH has reportedly joined additive manufacturing (AM) organization America Makes. Microchip improves our understanding of the process of extracting hydrogen from water. Granta Design, which makes materials information software, has launched new updates to its Granta MI materials information management system. Raise Your Visibility in the Research Community. Scientists have determined what kind of carbon nanotubes produce the best fibers and developed a novel method for purifying them. Lateral heterojunctions between 2D semiconducting monolayers produce more efficient solar cells than vertical stacks. Harvesting energy from body heat to drive wearable thermoelectric generators. Sabic has developed a fused deposition modeling filament for 3D printing. Velox GmbH, a European distributor of composite materials, has expanded its distribution partnership with Low & Bonar. The organizers of ceramitec 2018 say that technical ceramics will be an important part of the upcoming show. GKN Driveline has helped upgrade the rear halfshafts and propshaft for the 2018 Jeep Grand Cherokee Trackhawk SUV. A new microscopy method can measure the behavior and properties of electrons flowing across the surface of topological insulators. Gas company Linde has opened a hydrogen filling station in Munich, Germany as a fuel for zero-emissions fuel-cell vehicles. Additive manufacturing (AM) company Sintavia LLC says that it has received AS9100 Revision D certification. ALMACO will organize a series of practical courses in 2018 covering the fabrication of lightweight structures. Composites UK has revealed the winners of its Composite Industry Awards. A metal-organic framework that can conduct electricity could offer an efficient means of storing renewable energy. Novel nanocomposite harnesses water flow and sunlight to break up organic pollutants. GKN says that it contributed US$5 billion to the US economy in 2015 and £1.3 billion to the UK economy in the same year. The MPIF has issued a call for papers of original and unpublished work for POWDERMET2018 taking place from 17-20 June 2018 in San Antonio, Texas, USA. Doping 2D materials with other elements can not only alter their mechanical and electrical properties, but can also make them magnetic. Researchers have found a way to reversibly change the atomic structure of a two-dimensional material by injecting electrons. Umicore has sold its ITO sputtering target activity for large area coatings to its joint venture partner First Rare Materials Co Ltd.
Gas company Linde has reported a revenue increase for the first nine months of 2017. EDANA has opened a call for papers for its 2018 International Nonwovens Symposium, to be held in Rome, Italy, from 23–24 May 2018. Liquid ice, ordered glasses and other amorphous paradoxes. Prototype photodetector with double the efficiency of standard models. How cephalopods control their texture influences new stretchable material. A self-formed, flexible, hybrid solid-electrolyte interphase layer solves many of the problems that currently bedevil lithium-sulfur batteries. Inspired by the octopus, engineers have developed polymer-based stretchable surfaces with programmable 3D texture morphing. Additive manufacturing (AM) company Renishaw has been named as a stripe sponsor for the Bloodhound project. AMUG's scholarship committee is now accepting applications for the Guy Bourdeau and Randy Stevens scholarships. Industry trade association Composites UK has announced Tom Rockwood as Apprentice of the Year. Additive manufacturing (AM) technology company, Renishaw is showcasing its range of 3D printing technologies at Formnext. AMUG has selected Fried Vancraen, CEO and founder of Materialise, as its recipient of the fourth annual Innovators Award. Luca Cornero, R&D product development engineer at FCA Italy discusses the GALM Joining, Forming & Manufacturing Technologies conference. Extracting hydrogen from seawater without corrosion. Solvay Performance Polyamides has begun production of its engineering plastics in San Luis Potosí, Mexico. Composites UK will be taking the final of its regional roadshows for 2017 to London, covering the South East area. Professor Gareth Hankins, director at additive manufacturing (AM) company Renishaw, has been awarded an achievement award. 3D nanoelectronic system made up of stacked layers of carbon nanotube transistors and random-access memory cells could improve computational devices.